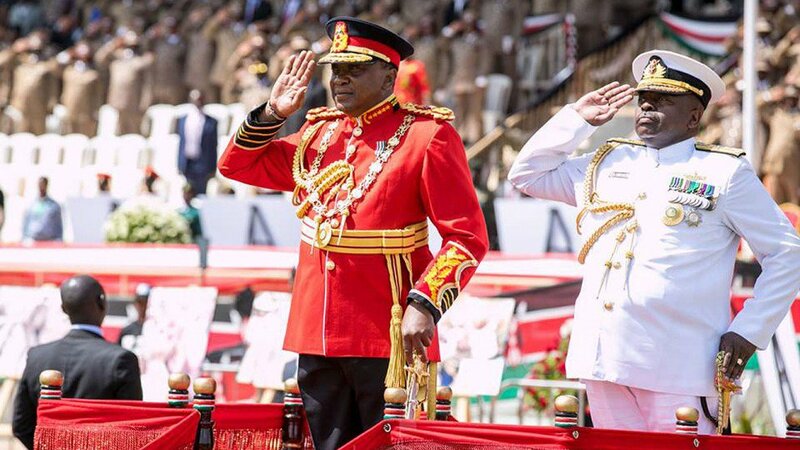 Thursday December 13, 2018-President Uhuru Kenyatta yesterday shocked the nation after he presided over the 55th Jamhuri Day while donning military regalia. However, Uhuru’s military attire did not sit down well with controversial lawyer and socio-political commentator, Miguna Miguna, who took umbrage at what the President wore for the occasion. According to Miguna, Uhuru’s military attire was nothing short of Halloween costume, because the President himself is not a military man, has never even been to the National Youth Service or even Boys Scouts. He said the regalia means nothing, especially to a civilian like Uhuru Kenyatta. "The Tyrant Uhuru Kenyatta in Halloween Costume (he has never even been a member of the NYS or Boy Scouts, leave alone the military and he is ignorant of the fact that JAMHURI is a CIVILIAN EVENT; not a military/authoritarian one )," Miguna Miguna's post read in part.